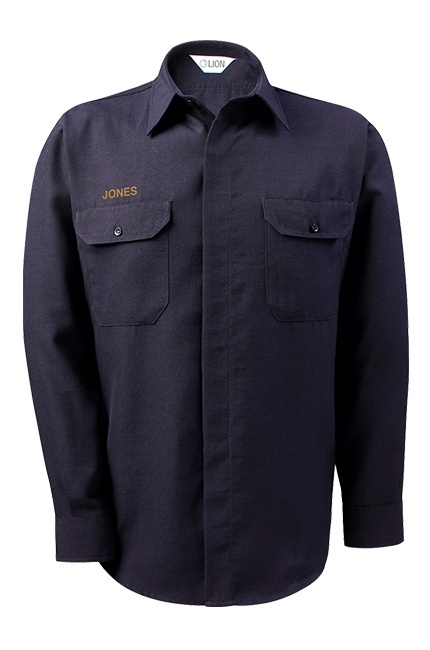 The LION Brigade station wear shirt provides a classic look and fit, with many functional details hidden throughout, including a safety panel front and multiple pockets. Professional Look: Safety panel front with hidden six button closure. 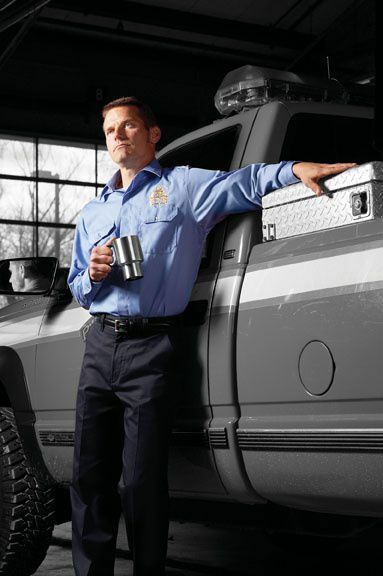 Designed for Duty: Features two mitered breast pockets with Dacron interlined, button-down mitered flaps. Functional Details: Included left pocket flap has slots for pencil/pen and safety glasses. Customization Options: Optional epaulets and badge holder. Available in long-sleeve and short-sleeve styles.